This test detects the single basepair change in the B4GALT7 gene. → Dwarfism in the Friesian breed with disproportionate limbs. Abnormal development of leg bones and rib cage. 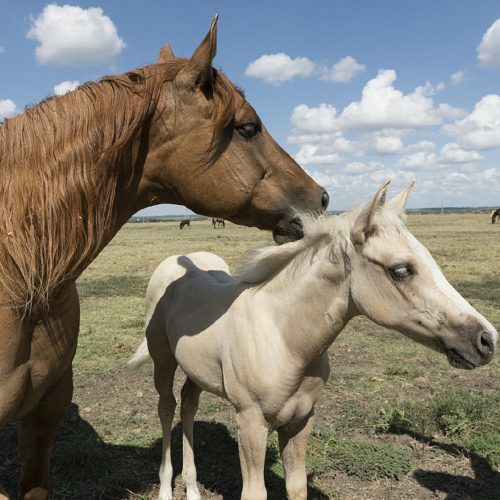 Affected horses have a normal sized head and torso but disproportionately short legs. Rib cage shows inward protrusion of ribs which may lead to breathing issues. Tendon laxity leads to instable joints and hence to abnormal gait. 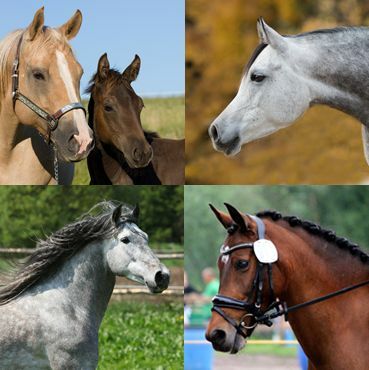 → Friesian Dwarfism is an autosomal recessive hereditary disease, meaning that horses with only one copy of the genetic variant (N/fd) are clinically normal carriers while horses with two copies of the genetic variant (fd/fd) are affected. N/N normal. 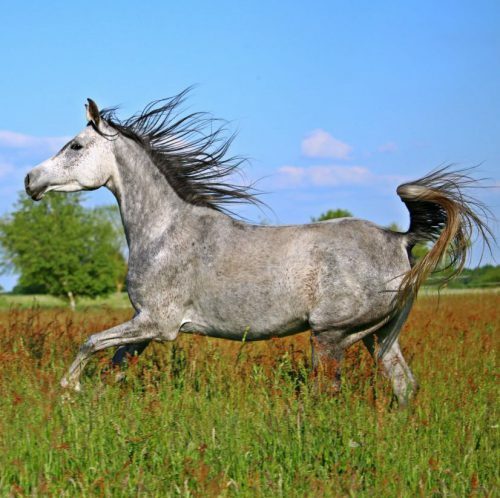 The horse does not have any copies of the genetic variant causative for Friesian Dwarfism and therefore cannot pass it on to any offspring. N/fd a carrier. The horse is clinically healthy. It has one copy of the genetic variant causitive for Friesian Dwarfism, which will be passed on to its offspring with a probability of 50%. fd/fd affected. 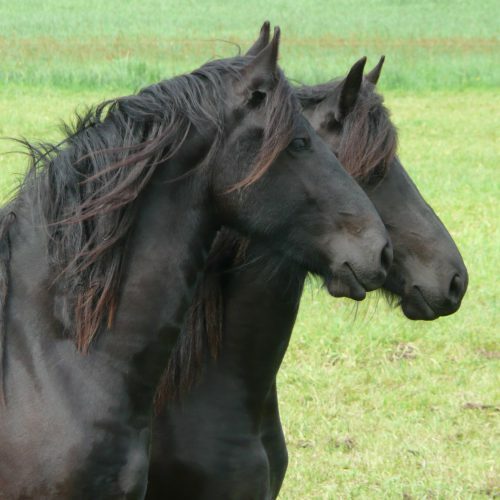 The horse has two copies of the genetic variant causitive for Friesian Dwarfism. The variant will be passed on to all offspring. All offspring will be carriers (N/fd). Carriers may be bred to normal animals (N/fd x N/N) without any risk of producing affected offspring. The offspring should also be tested before breeding to determine if they are carriers or normal. Breeding two carriers (N/fd x N/fd) is not recommended due to the possibility of 25% of the offspring being affected. Affected animals (fd/fd) should not be used for breeding. Leegwater, P.A., Vos-Loohuis, M., Ducro, B.J., Boegheim, I.J., van Steenbeek, F.G., Nijman, I.J., Monroe, G.R., Bastiaansen, J.W., Dibbits, B.W., van de Goor, L.H., Hellinga, I., Back, W., Schurink, A. : Dwarfism with joint laxity in Friesian horses is associated with a splice site mutation in B4GALT7. BMC Genomics 17:839, 2016. Pubmed reference: 27793082. DOI: 10.1186/s12864-016-3186-0. Further information is available Online Mendelian Inheritance in Animals.